When Microsoft introduced Windows 10, it used the tagline “The most secure Windows ever – and built to stay that way”. In a perfect world, everyone would now be running on Windows 10 and enjoying the enhanced security features that are included. This is real life, however, and that’s not how it works. There are still millions of PCs running Windows XP, four years after Microsoft ended support for the product, and millions more than that running Windows 7. Aryeh Goretsky, a researcher for ESET, states in a white paper that the number of computers “…running Windows XP has stayed about the same over the last few quarters at around 5.5 percent. While that may not sound like much, it means there may be somewhat over 80 million computers out there still using Windows XP.” ComputerWorld estimates that at the end of 2019, just a year from Windows 7’s retirement, an estimated 47% of Windows computers will still use that OS. The point of this post is not to analyze these trends, as there are plenty of articles and blog posts already out there. I simply want to explain why I still teach malware removal in GeekU, over 10 years after I became involved with the malware removal community. The number of computers running obsolete operating systems are a large part of the reason. The need for security on these systems has not gone away, and neither has the need for malware removal. There have been no security updates for Windows XP in 4 years, and after January 2020, Windows 7 will no longer receive them either. 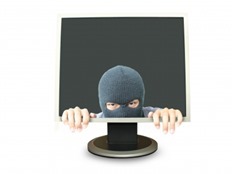 That means a lot of PCs remain vulnerable even as malware becomes more sophisticated. The best advice I could give to someone running Windows XP is to stay off the Internet, but that’s not realistic, so I continue to teach trainees the specifics of the XP operating system and how it differs from that of Windows 7 and above. I teach that Windows XP should have a 3rd party firewall installed, as the embedded version doesn’t block outbound traffic. That’s why I teach how to use an elevated command prompt in Windows XP. That’s why I teach using Chkdsk from a command prompt on Windows 7. We have a lot of GeekU students who are younger and more conversant with Windows 8.1 and 10, but many are in college and may enter a workplace in which Windows 7 is still prevalent, so maybe I’m even teaching skills that will benefit them as a professional. Realistically, Windows 10 is not completely safe either, so what I’m doing will remain relevant for some time. As long as there are users, as long as there are people who choose to exploit the vulnerabilities of both software and users, there will be those who fall prey to malware and exploits. Yoast SEO, do you need to be green? Content analysis and importance. Yoast SEO is not only one of the most popular WordPress plugins, but one of the most popular WordPress plugins overall. One of the reasons WordPress powers a 1/4 of all websites (and growing) is that is has pretty good SEO out-of-the-box. Yoast succeeds in making a good thing better. If you were just to install the plugin, and forget about it. You’d still see benefit. Yoast rewrites page titles, and creates an XML sitemap for search engines. Beginners often get hung up on Yoast’s mechanism for grading your SEO per post. It works like this. You specify a keyword (only one with the free edition), and then it displays the colors of a stoplight to rank your post; red, yellow and green. It’s tempting to tweak every post until you have all green lights. Like a deserted street at 3am. Yoast has “live” recommendations, that change with your content. So we can’t cover every recommendation here. Let’s review some of Yoast’s most common content analysis recommendations, and see which are worthy of your time. The broadcast stated that this method of calling the police is very seldom used because people don’t know it exist, and it might mean the difference between life and death. Hopefully, none of you will have to use this, but I wanted to pass it along just in case you hadn’t heard of it. Please pass it along to everyone possible. While it’s not possible to completely stop these things from circulating, you can become part of the solution. 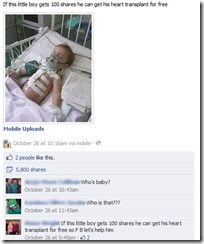 Don’t blindly share or post anything just because everyone else is. It’s possible to quickly check whether a post is valid or not. I use Snopes.com to check these items out. For example, here’s the Snopes link debunking the backwards ATM PIN myth. If the story isn’t true, don’t spread it. While there’s not necessarily anything malicious about these myths, there’s no point in perpetuating them. Your friends will probably thank you for having a little less clutter in their feed, too. Robots are fact and no longer science fiction. Robotics technology we have in development NOW is going to greatly impact our jobs and economy. This issue is creeping up on us quickly, but experts are split on their opinions about how it will affect jobs. Historically, new technology created new jobs to replace those it displaced, but this time it might be very different. All the rules go out the window when technological acceleration reaches a certain point. Can robots and artificial intelligence replace your job? By now I’m certain you’ve heard of the Heartbleed bug. If you haven’t, then you should know that it is a flaw found in one of the most common open source SSL implementations on the internet that COULD allow an attacker to get sensitive information from the web server. A successful attack could expose the server’s SSL private keys that would allow the attacker to decrypt the data traveling to the site, such as usernames and passwords. As of now there have been no confirmed attacks using this bug, but an exploit of the bug is completely untraceable so there’s no way to be certain if a site has been targeted. How can you tell if a site is affected? First, you need to figure out how vulnerable your data might be. There are several lists of vulnerable sites that you can manually search through and several online tools that can be used to check specific sites (lastpass and SSL Labs have two particularly useful tools, linked below). There is a Chrome extension that can help identify vulnerable sites as you visit them. The folks at www.Mashable.com have a “hit list” of sorts that lists several sites that they have had direct communication with and recommendations as to what you should do to protect yourself on those sites. Since Google’s Android operating system is built on open source principles, it is heavily integrated with OpenSSL so any Android device may be vulnerable to this bug as well. Lookout Security has developed a tool to check your device for vulnerability (linked below). If your device is vulnerable you will have to wait for an update for the device. How can you protect yourself now and in the future? Once you’ve identified what sites you’ve used that contain sensitive information, you need to change your passwords. You should make sure that they have patched their systems before you change your password for good but many experts are saying that you should change the passwords now just to be sure that any data captured in the last 2 years is safe. Many systems online were not affected at all because they run on server platforms that don’t use OpenSSL (like Microsoft IIS). These sites have not been compromised by this bug and you should make your own judgment as to whether or not you should change your passwords. If you have used the same username and password combination on an unaffected site as you have on an affected site, you should change your password on both, and make sure they’re different this time. If you have two factor authentication in place (which you should on any service that supports it) you are at an advantage since even if someone has your username and password they don’t have your second authentication method (typically an app or a text to your mobile phone). You should probably still consider changing your passwords on these sites to be safe. If you use a password manager (like LastPass or Keepass) then you should most likely regenerate new passwords for your important sites. If you’re using LastPass, they have updated their app to include a tool that will automatically alert you of the Heartbleed status of any sites that you have saved or generated passwords for and give you suggestions as to when you should change their respective passwords. You should never use the same logon and password for two important sites (like your banking site and your email). If you are using the same information on multiple sites that are important to you, you should change them now so that they are different. The best thing you can do is not panic and stay aware of the current status of this bug. Keep checking the status of your frequently visited SSL enabled websites and if any of your important sites aren’t patching their systems, find a different company to do business with. Microsoft is ending support for Windows XP, and it’s about to let every XP user know. On Saturday March 8th, and then the 8th of every month after, XP users will see the popup window shown above (unless they tick don’t show again). Many users may mistake this warning for a fake security alert, often used to trick people into installing malware. But this one is legitimate. Any computer connecting to Windows Update will display it. Most enterprise computers won’t, as they don’t get updates directly from Windows Update. There is no direct upgrade from XP to Windows 7 or 8. However, Laplink has a free migration tool called PCmover Express that will help transfer files, settings, and profiles. If you want to also transfer programs, there’s a special offer on the professional version ($23.95). Are you still running Windows XP? Will you be upgrading? What are you going to upgrade to? 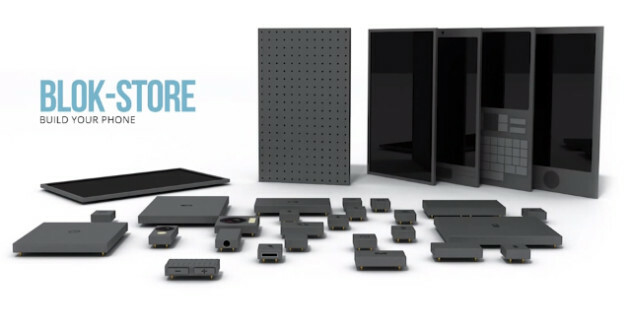 Phonebloks is a Thunderclap project started by Dutch Engineer David Hakken that might just be the next big thing in the mobile industry. A phone only lasts a couple of years before it breaks or becomes obsolete. Even if just a part of it failed us, we’ll have to make it an expensive paper weight. Phonebloks is all about solving this problem, in an unusual, yet innovative and possibly viable way. Phonebloks is made of detachable bloks. 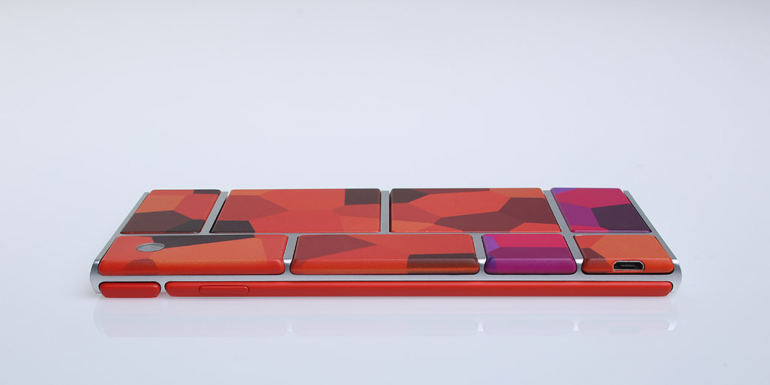 The bloks are connected to the base which locks everything together into a solid phone. If a blok breaks you can easily replace it; if it’s getting old just upgrade. David Hakken has publicized this project as an attempt to reduce e-Waste. And guess what it has a store all for itself. The Blokstore. It’s like an app store for hardware. In the store you buy your bloks, read reviews and sell old bloks. He might be right, but there’s always two sides to a coin. Why I think it could work? People love customizing their phones! The time of software upgrades, rooting & jailbreaking could be history. If it’s physically possible, it might be bigger than the huge leap forward Capacitive touch screens were, when they first arrived. As a student, we can get tight on the pocket, we could settle for the default and upgrade later! Why I think it might not work? It might succeed as a concept, but to surpass the impact that the iPhone or Galaxy’s have in day to day work might be too much of a task. Google Play is a key factor to the success of Android. As for the Blokstore, a store with a very small number of bloks could lead its way to doom. I don’t think there could be bloks enough to satisfy consumer needs. It will be as expensive as hell. Non-technical friends and relatives have two universal truths regarding computers. One, they have toolbars, background software, coupon offers, and/or search engine redirects. Two, they have no idea how they got there. Most likely, they installed them. Even if you are technically inclined, you’ve probably still been trapped by Dark User Interface Patters. Downloading software and updates is a minefield of unwanted software. Scott Hanselman details the confusing experience offered by download wrappers. I am disappointed in us, Internet, that this is a business. Someone wrote this, for their job, directed by their middle manager, who was directed by their rich boss. There was a meeting (there’s always a meeting) where it was discussed on how we could most effectively fool non-technical relatives into installing crap. These techniques are well-honed and tested. Even experienced users can install stuff they don’t want. So what’s the average user to do? Here are some applications that aim to help avoid unwanted installs. Ninite will automatically install popular apps. Great for setting up a new system. Pros: It won’t bother you with choices and options. It says no to all toolbars and junkware. To update, you simply run it again. Cons: If you add an application you need to rebuild the installer. Automatic updates require the paid version. Limited applications (some like CCleaner, and Adobe Flash have “opted-out)”. Bionic hands have been around for quite some time now. But I’m sure these pair of hands that can help one feel is going to be one of those breakthroughs in technology that can touch the hearts of millions, bringing tears of happiness to ones eyes. 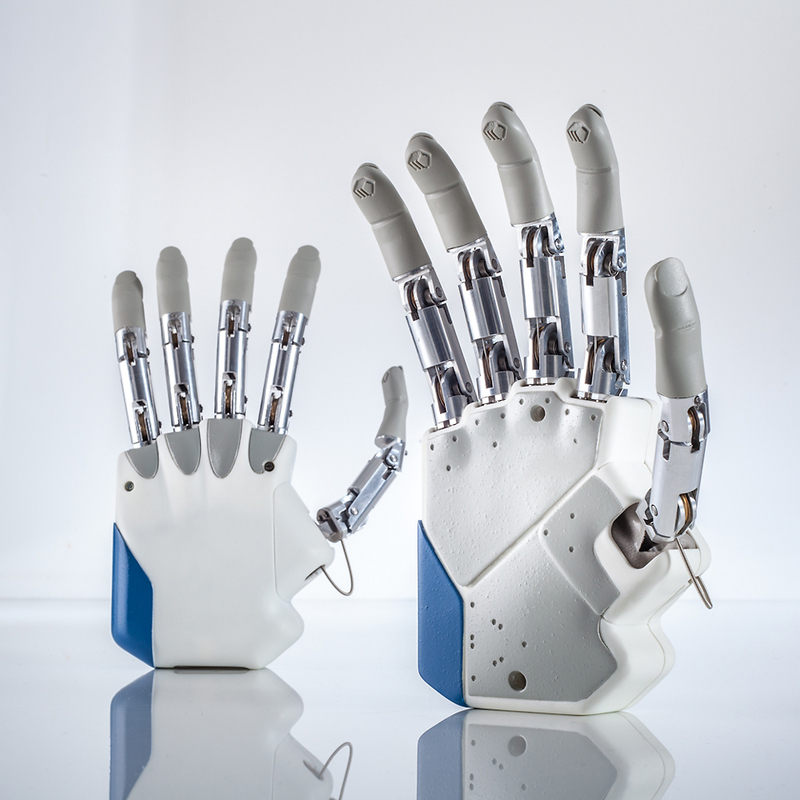 The world’s first bionic hand with the sense of touch is here. A team of researchers from Case Western University have made a new prosthetic bionic hand, designed to be capable of using measurements from 20 sensor points to control ones grip. 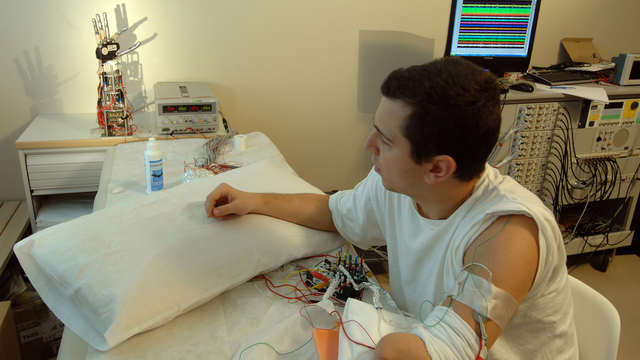 Amazingly, the sensor data is linked directly to the sensory nerves in the patient’s forearm. The control for the grip is then extracted myoelectrically and returned to the muscles in the forearm. “Our dream is to have Luke Skywalker getting back his hand with normal function,” researcher Silvestro Micera told TechNewsDaily, referencing the hero in “Star Wars” who gets an artificial hand after his real one is cut off. 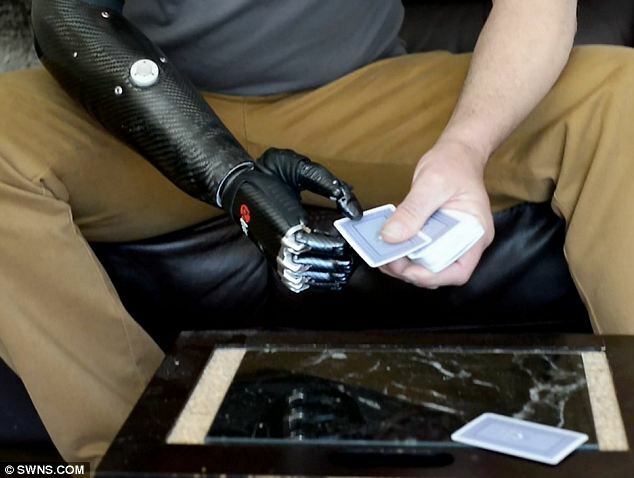 This was the first time that such a variant of the bionic hand was implanted into an amputee with high hopes that he would regain his sense of touch. The patient wore the bionic hand for some time over a month to see how his body adapts to the new presence. “When I held an object, I could feel if it was soft or hard, round or square,” said Dennis Aabo Sorenson, a 36-year-old man from Denmark who lost his left hand in a fireworks accident. “I could feel things that I hadn’t been able to feel in over nine years,” Sorensen said in another statement. This is truly a miracle. An answered prayer. A dream come true for many. A recent post by KrebsonSecurity reports that the attacks on Target were made possible using stolen credentials from a third-party vendor, specifically an HVAC contractor for the company. While that may seem unlikely to you – how could an HVAC contractor have access to Target’s network? – it’s not surprising that in this day and age, HVAC systems can be remotely accessed and monitored. After all, we live in a digital age. We think nothing of programming our DVRs while away from home, or logging into our home thermostat to program it, so it should be no surprise that large systems have advanced capabilities. The surprising part is that credentials for the HVAC system would also allow access to the rest of Target’s network. The investigation is still underway, so there are a lot of unknowns. Did Target require some form of two-factor authentication for access, and if not, why not? Was the HVAC network segmented from the rest of the network? How frequently were passwords changed, if at all? I would assume Target is taking a hard look at some of their security practices, and in the light of this and the recent announcement of the Neiman-Marcus breach, a lot of other companies that process millions of credit cards should also be reviewing their practices. The Krebs article highlights another security issue, as well. The stolen data was transmitted using “drop” locations; compromised computers that stored the data, and that could be accessed by the hackers. While Target shoulders the brunt of the blame for this situation, it also underscores the importance of security at multiple levels, from home computers to small and medium businesses. An infected computer or server doesn’t just put the users of that system at risk; hackers can use that system for their own nefarious purposes, such as being an intermediate drop for stolen data. The important thing to learn from this is the importance of protecting a network, regardless of where it is and what it’s doing. Even Fortune 500 companies and security professionals can be vulnerable. Limit access to your network. If 3rd parties need access, limit their access, monitor their use, and disable the access when not needed. Take security seriously, even at home. It’s not just your data that you might be protecting.